Entrance to the National Ground Intelligence Center (NGIC). WARNING: Do not take photos in this area. 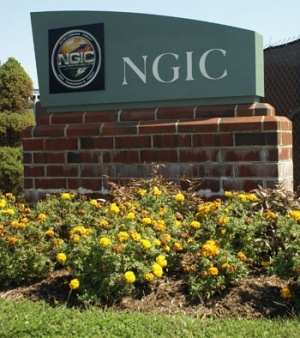 The National Ground Intelligence Center (NGIC) is a major federal employer in Albemarle County. NGIC is a subordinate of the United States Army Intelligence and Security Command that provides scientific, technical, and general military intelligence in support of the U.S. Army's foreign ground forces. The NGIC also manages the Army's Foreign Materiel Exploitation Program and foreign materiel acquisition requirements and constitutes a single authoritative source for comprehensive ground forces threat to the Army and other services. NGIC is part of the Joint Use Intelligence Analysis Facility in Rivanna Station. The property for the base property was purchased by the government from developer Wendell Wood's United Land Corporation, and is located at 2055 Boulders Road, off Route 29 within the Community of Piney Mountain, one of Albemarle County's designated growth areas. The United States Army Foreign Science and Technology Center (FSTC) moved to downtown Charlottesville in 1970. NGIC was created on 8 July 1994, by merging the FSTC with the US Army Intelligence and Threat Analysis Center. The former headquarters of FSTC in Charlottesville became the headquarters of the new Center. Michael Harvey, former executive director of the Thomas Jefferson Partnership for Economic Development, said at the time the high-paying jobs with wages of around $80,000 would create a significant impact in the local economy. ↑ Web. , Federation of American Scientists, retrieved July 19, 2017. ↑ Web. National Ground Intelligence Center Welcomes New Commander, Rita McIntosh, News Article, U.S. Army, February 21, 2017, retrieved July 19, 2017. ↑ Web. NGIC welcomes new commander, Daily Progress Staff Reports, Daily Progress, World Media Enterprises, May 26, 2015, retrieved July 19, 2017. ↑ Web. NGIC Expansion to Bring in More Families, Liz Nagy, News Article, WVIR NBC29, April 3, 2008, retrieved July 19, 2017. This page was last edited on 19 July 2017, at 17:58.